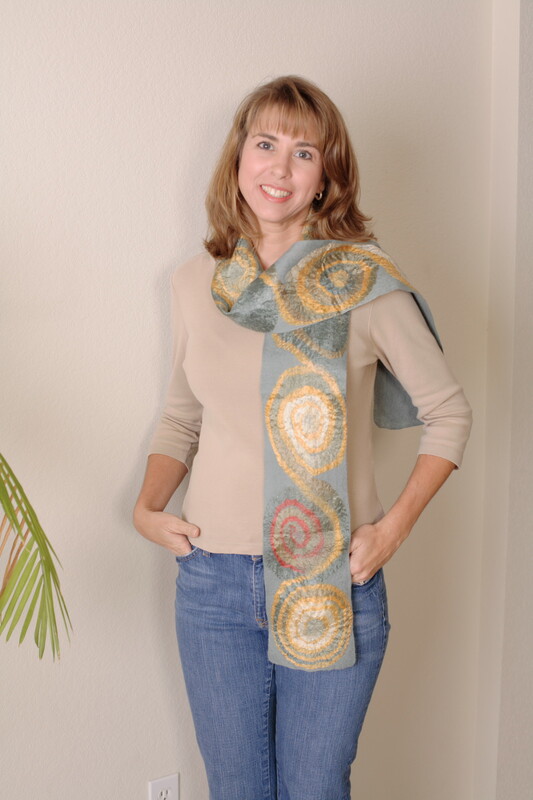 Outback Fibers is committed to providing feltmakers with superior fibers. In 2015 we began our transition from a fine 22-micron merino over to an 18.5-micron superfine. Our willingness to take on more inventory enabled us to provide a better fiber without any price increase to our valued customers. The majority of our stock is now offered in superfine merino. The colors designated with an asterisk * will be supplied from our 22-micron fine merino stock until our supply is gone. Sample Cards are found at the bottom of this page. Combination packs such as our Mixed Bags and our Color Palette may contain a small mix of both micron counts during this transition. While your hands may notice the extra softness of the superfine, you will find the same excellent performance from both in your felt work. We stock 100% merino wool roving fiber plus additional wool blends. Buy each color individually or get great samplings by purchasing from our Mixed Bags or Color Palette. 18.5-micron Superfine is the standard. Please note that due to variations in monitors and graphics, the colors shown below may not be an exact match to the fiber. Order your own sample cards for accurate color identification. (See card information below) Call us with questions: (800) 276-5015.